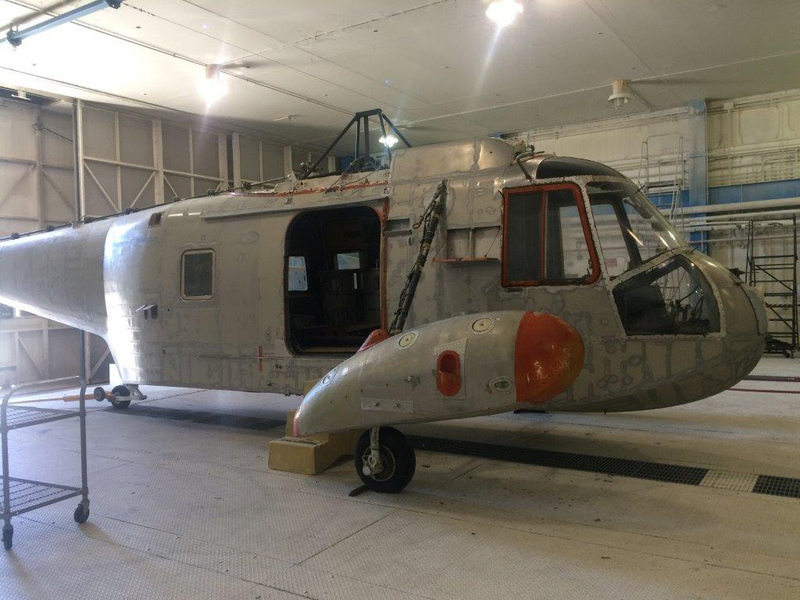 The HH-52 was the U.S. Coast Guard’s first turbine-powered helicopter and the first that could land in the water next to vessels or personnel in distress without using awkward floats, making it the most effective air-sea rescue helicopter of its time. 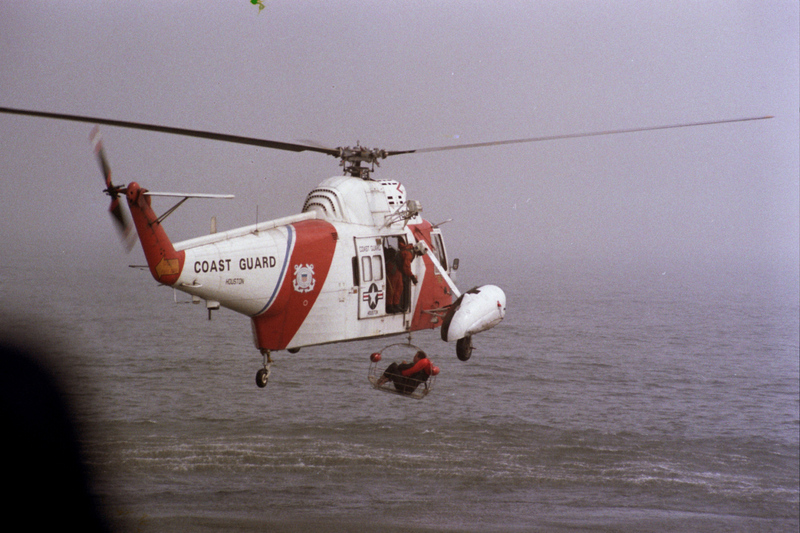 The Coast Guard operated ninety-nine HH-52s between 1962 and 1989, saving 15,000 lives. 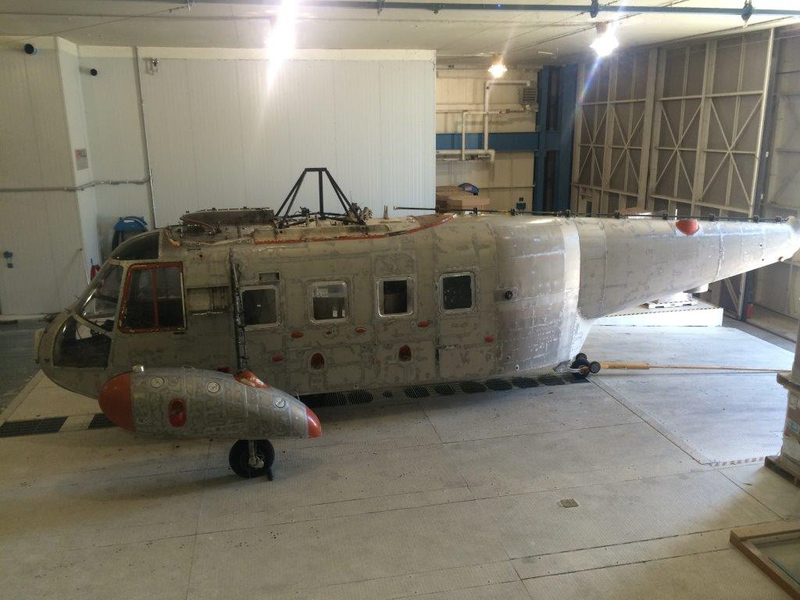 The Coast Guard acquired this HH-52 (#1426) in 1967 and operated it until 1989, accumulating 12,618 hours. 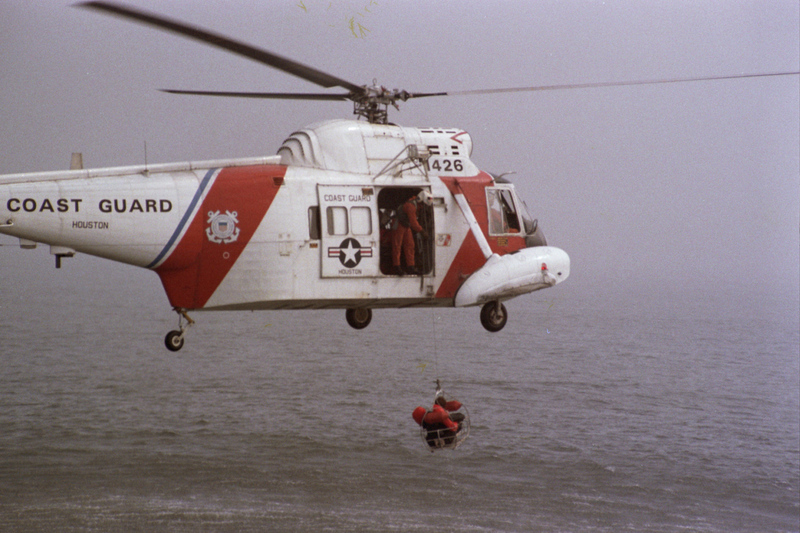 Its notable missions included a January 27, 1967 nighttime sailboat rescue that resulted in a Distinguished Flying Cross for the pilot and a mention in LIFE magazine. 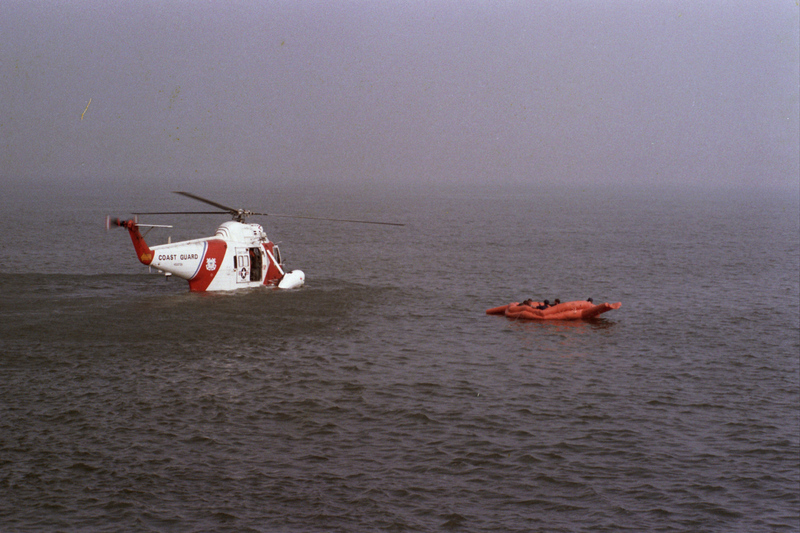 1426’s most dramatic rescue occurred on November 1, 1979, when it rescued twenty-two survivors from a fiery collision of an oil tanker and freighter off Galveston, Texas. During the mission, it lifted twelve crewmen at one time from the inferno – a record for the aircraft, designed only to carry a maximum of ten, including crew, in the cabin.